During the past 10 years the Partners James Driscoll and Karla Kingston have helped thousands of people from the UK and overseas make a compensation claim for their personal injuries from work accidents, car accidents and slip, trip or fall accidents at work or on the street. They take on most work on a no win no fee basis, and deal with both corporate clients and individuals throughout the UK. A KreatureCMS based website for a Lancashire based law firm. 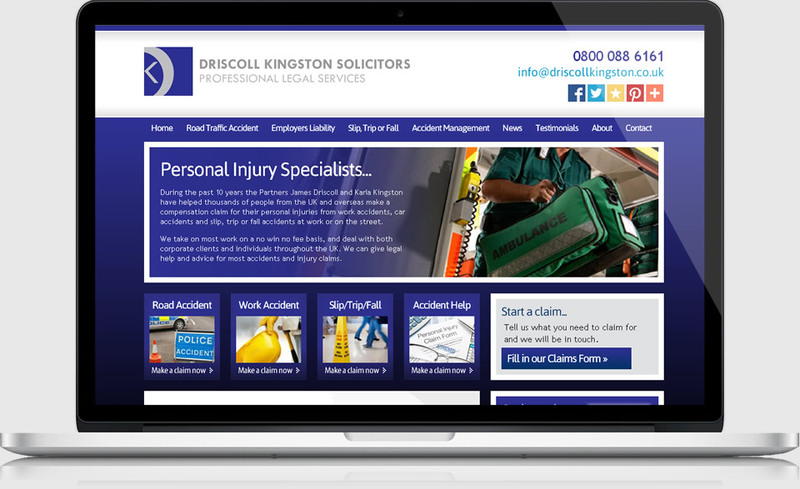 The site aims to give customers background information on James and Karla, the partners at Driscoll Kingston.